What type of automatic door system do you need? Low energy, semi automatic or fully automatic doors? 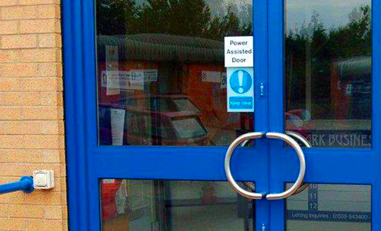 For many reasons the type of automatic door should be chosen carefully. You do not want to install an automatic door that does not meet with requirements of the entrances volumes of traffic, type of pedestrian (able bodied or disabled) School children or the elderly or frail. Low energy swing doors require no safety sensors to be installed as it only requires gentle movement to open and close. If an impact occurs on a pedestrian the force would be low and not cause injury (less than 67newton meters of force). Low energy would be the most cost effective option but cost should not be the main reason for installing Low Energy Swing Door Operator. Low Energy automatic doors are suitable for Flats Residential Dwelling Offices. Suitable for less able-bodied persons with ambulatory difficulties or wheelchair users. Doors and entrances that require higher traffic requirements can be fully or semi-automatic so it can open faster so not to inhibit the users passing through the doors. Semi-Automatic Doors operate with higher forces and result in quicker opening and closing.. Semi -Automatic operate with push pads and safety sensors so that if a door approaches a pedestrian the sensor prevents colliding with the person. A push pad on a busy street will prevent a door from constantly opening and closing when passers-by are detected by an activation sensor as in a fully automatic door. Fully automatic doors work at a faster speed, having a greater force to, operate them (up to 150n) Safety sensors scan the area in front of the door looking for pedestrians and obstructions. The safety sensors prevent impact of pedestrians and objects. 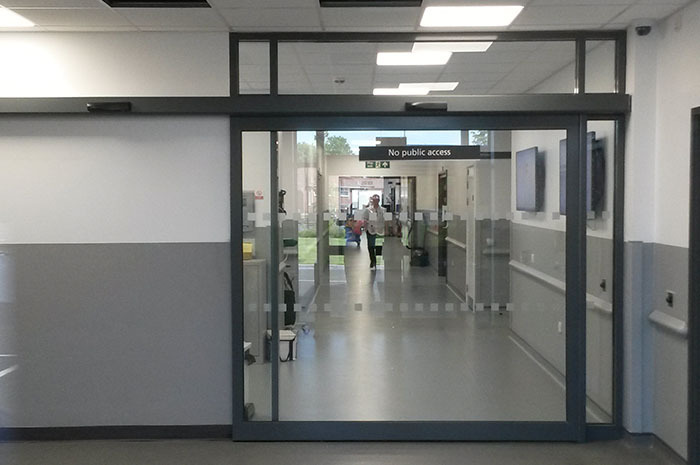 Automatic swing door operators are rated for constant usage, suitable for high volume traffic Schools Colleges, Shopping Centres, Hospitals, Doctors Surgeries and Supermarkets. Are automatic doors ideal for disabled access? 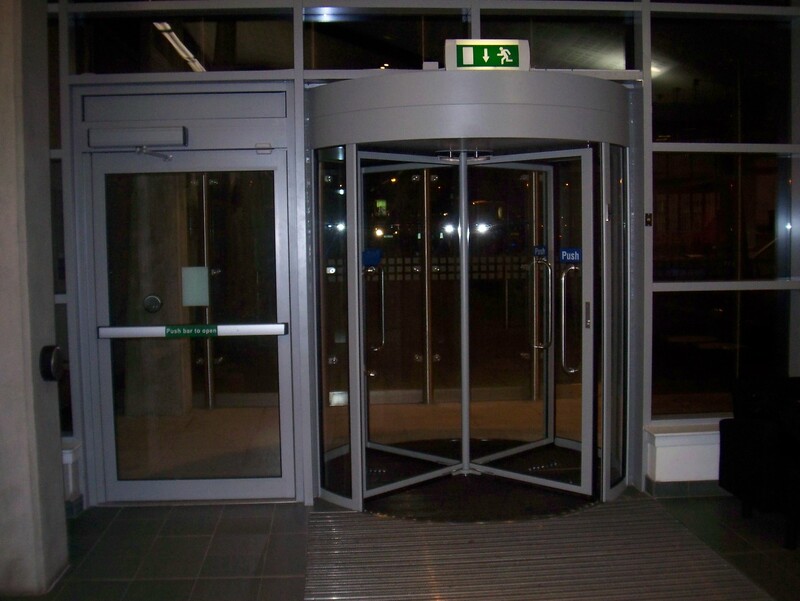 Automatic doors are a good solution for access into and around buildings. An automatic door helps with compliance to Disability Discrimination Act (DDA) regulations. 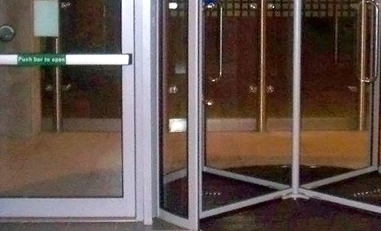 Automatic doors provide a means of opening and closing doors without the need for physical effort. Wheelchair users benefit most from automatic doors. Automatic Sliding doors provide access and are ideal for entrances that a high volume of pedestrian traffic. 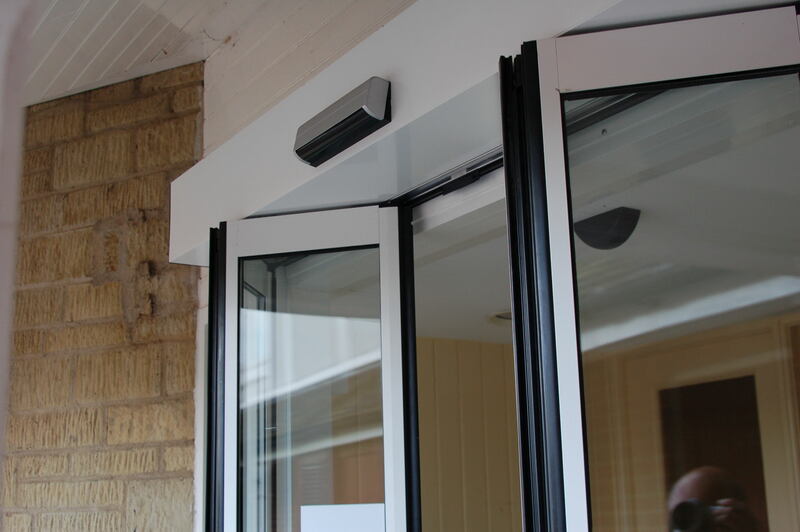 Automatic Sliding Doors can be used internally or externally as single or bi-parting. Access controls with electric strike releases or mini mag locks provide additional security for certain applications and can be access with fobs, digital key pads or remote controls. Automatic Swing door operators can be retro fitted to existing doors and are suitable for both.